Hyderabad-based Eimor Customs seems very much in love with Royal Enfield motorcycles. 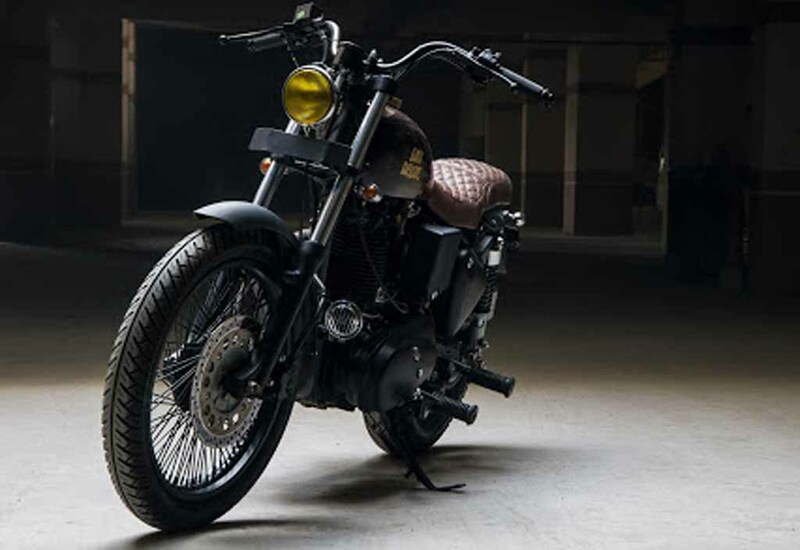 As we have already reported, the customisation firm has produced the Zafiro based on the Royal Enfield Classic 350 and now it has built a retro modern motorcycle based on the Royal Enfield Bullet 350. The customised model comes christened as the Road Runner. 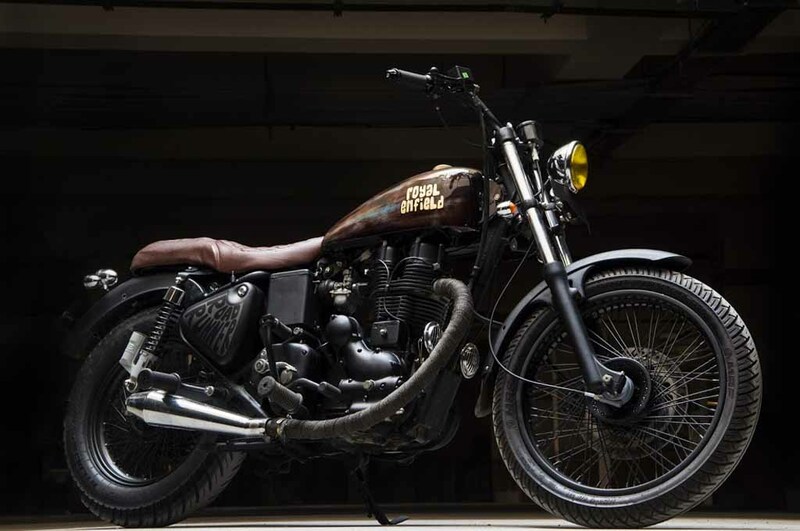 The Royal Enfield Bullet is world’s oldest production motorcycle still being sold. 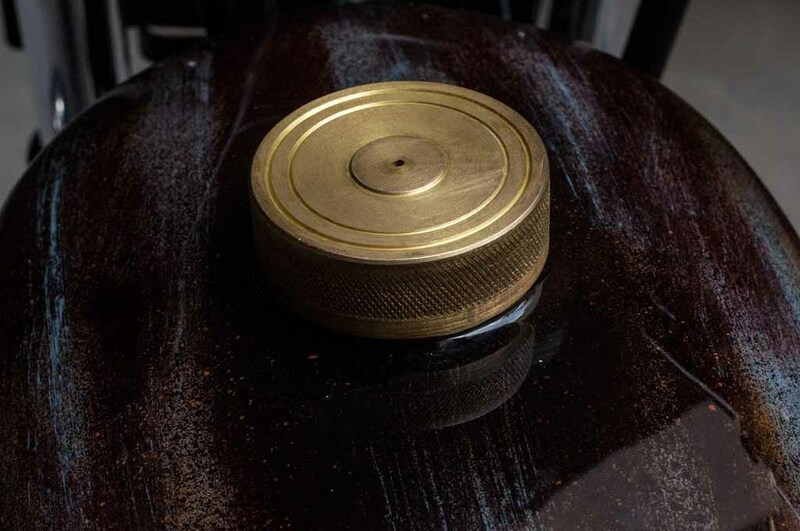 The popularity of this retro model is undeniable, both in the domestic market and in global markets as well. 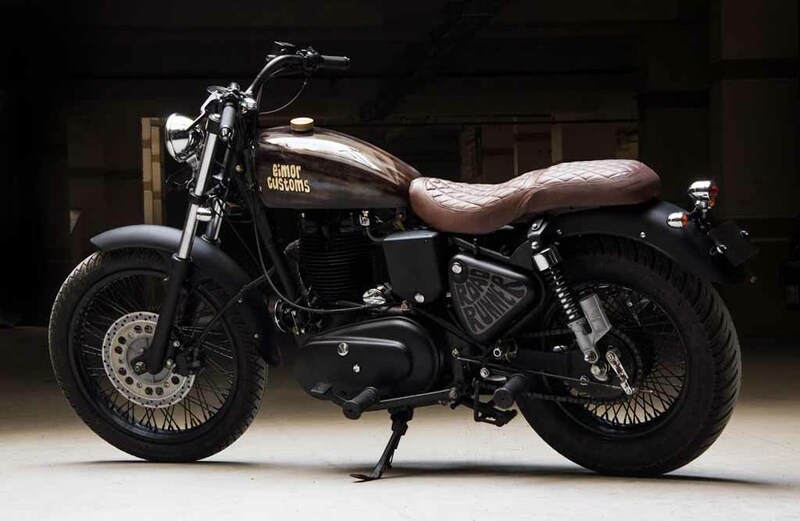 The motorcycle has been modified in such way, enhancing its retro charm, yet giving it a modern touch. 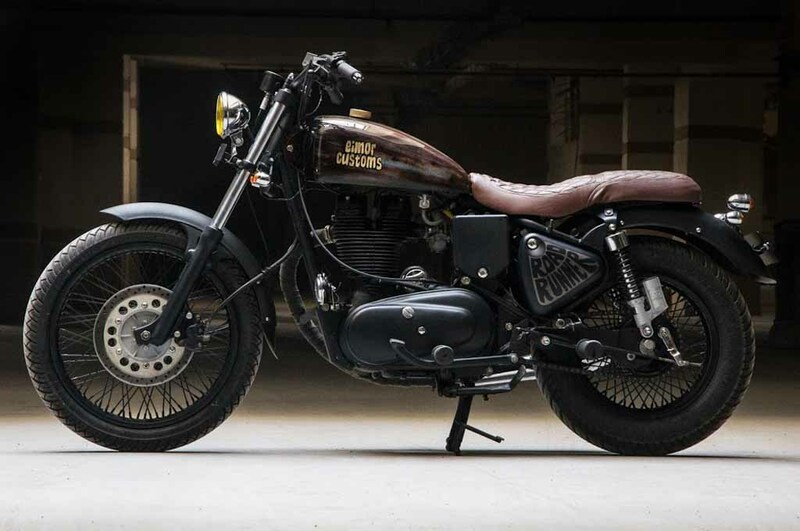 Also read: Customised Royal Enfield Classic 350 Zafiro is Stunningly Awesome! The chrome garnished headlamp comes smaller than the standard model. A single-pod instrument cluster and a long peanut fuel tank painted in dark brown enhance the style further. 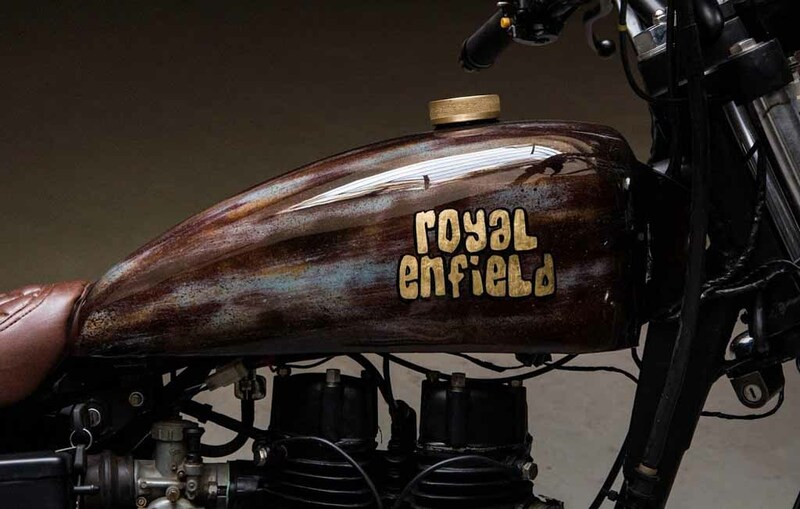 The golden lettering at the side of the fuel tank gives the model an antique look. 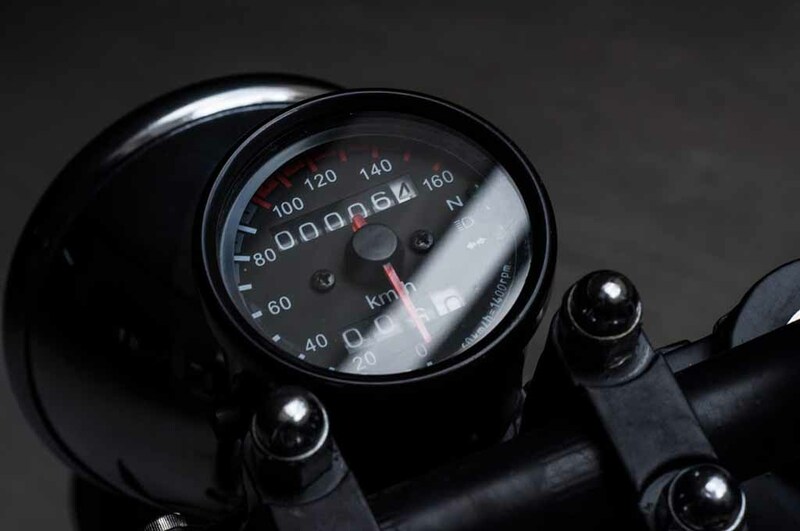 The wide black painted handlebars offer the rider better control. 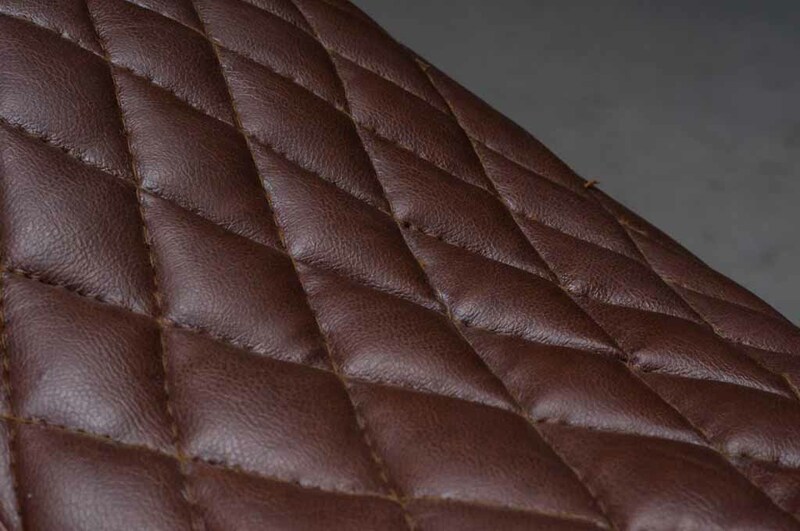 The seat has been modified too and come with a flatter retro look thanks to the brown leather. No backrest is there in the Royal Enfield Bullet Road Runner, enhancing the retro appeal further. The body panels, engine block and mudguards don an all-black look. The side indicators at both front and rear, along with the taillight are customised and deliver a classic appeal. The exhaust of the motorcycle comes in a wrapped manner. 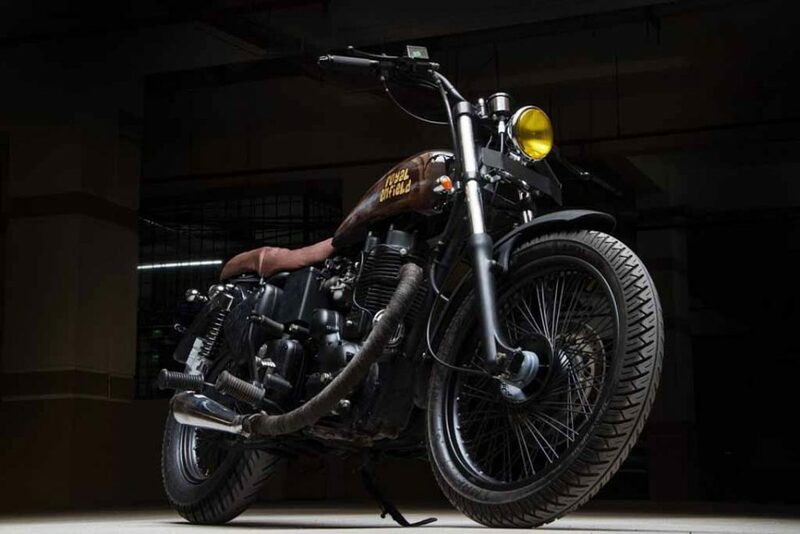 Power source for the customised modern retro motorcycle is the same old 346 cc single-cylinder OHV engine. This engine is capable of producing 19.8 bhp of peak power and 28 Nm of peak torque. Braking duty in the motorcycle is done by a front disc brake and a drum set-up is fitted to the rear.